Linda has written content for national fashion and beauty websites. She enjoys sharing style trends and tips with her readers. I recently went on a mission to buy a new pair of khakis. Sounds like a simple task, right? Ladies, you know that’s not true! I spent hours trudging from store to store trying on pair after pair. For me, the frustration of shopping for pants is second only to buying a new bathing suit! I persevered, managing to FINALLY find a pair that fit relatively well and actually looked OK. It would have been much easier and taken less time had I done my research beforehand. Well, better late than never! I have compiled a list of handy tips to help find the best pants for every body type. I hope this will make your next shopping expedition a little less stressful. 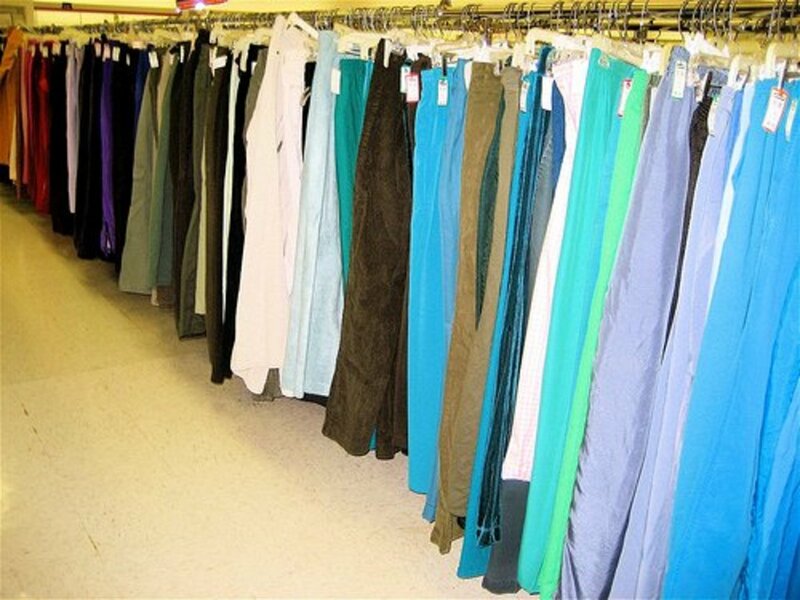 Imagine that, we can now enjoy shopping for pants! 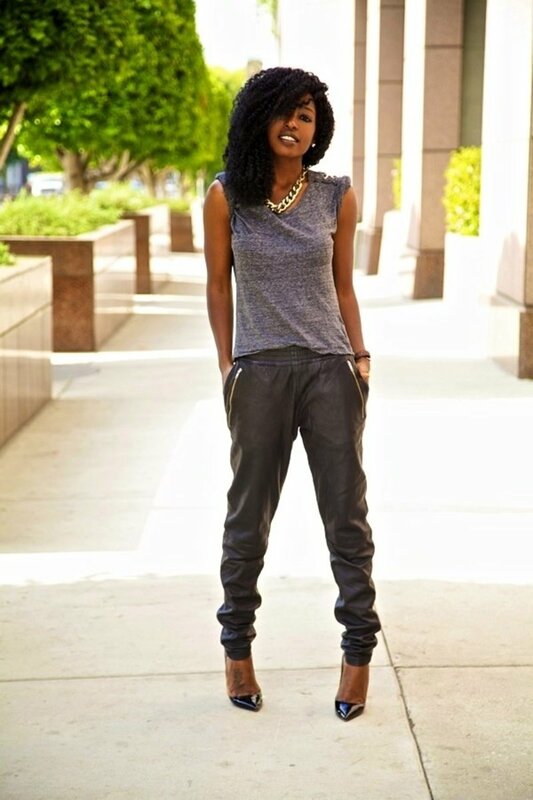 Straight leg pants are an ideal style for any body type. I’m not talking about skinny leg pants. Straight legs have a uniform width from the thigh to the hem – not too narrow and not too wide. The look is flattering because it creates a straight visual line along the leg. Straight leg pants camouflage wide hips and heavy thighs, thus slimming your silhouette. Be careful to avoid pants that taper even slightly at the ankle. This will throw things off balance and make your hips look wider. Obviously, this style is also great for slender women and those of us lacking in adequate rear padding. Tall or petite, slender or plus-size, straight-leg pants are a winner for every body type. The gaucho cut resurfaced several years ago and is still on the style radar. Gaucho pants fit like regular pants at the waist and upper hip. They began a gradual flare at the mid- to lower hip, continuing to the hemline – typically just below the knee. Gauchos are great option for summer, as they give you the cooling benefits of a skirt and the modesty of cropped pants. You can find them in casual and dressy fabrics. You can even wear them in winter months. Choose a weightier fabric and pair them with tights and knee-high boots. If you are tall and have long legs, gaucho pants are perfectly suited for you. 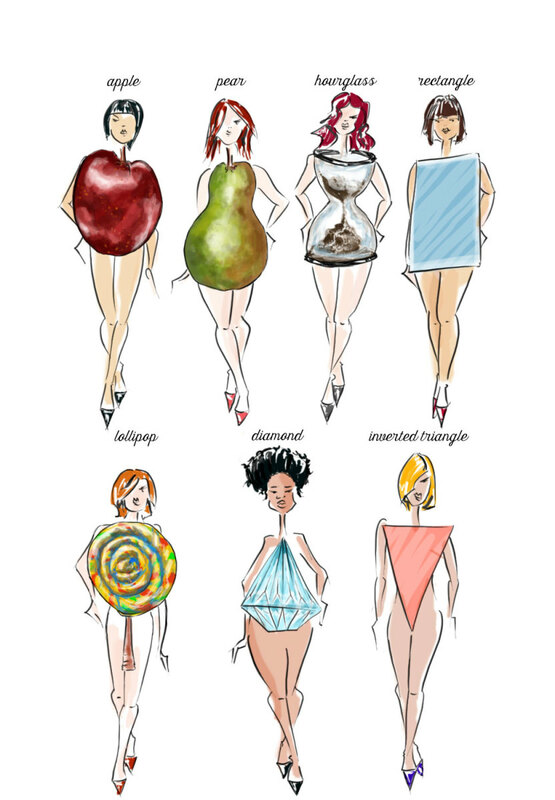 However, other body types can pull off the look by following a few rules. If you are petite, but have a long torso and legs, you can rock gauchos just like your taller counterparts. If you have a short midsection and legs, stick with gaucho pants that have a less dramatic flair and longer length. Pair them with heels or thin wedges to add height. Also, stay away from dark colors as they will add the illusion of weight to your lower half and shorten your petite stature. Light color gauchos will help elongate your body. Tall, full-figured women can also wear this style with no problem. If you are plus-size with a short torso and legs, follow the same rules as petites. Another caveat of wearing gaucho pants involves any size woman with heavy calves and thick ankles. In this case, opt for a longer-length gaucho – almost a palazzo pant with a moderate heel, to draw attention away from the lower leg area. These pants feature a traditional fit through the waist and hips, with straight legs – the only difference being the slight flare as they reach the hem. The boot cut was obviously designed to fit over work and cowboy boots. Today, it designates a versatile pant style that can be worn with any type of footwear. If you have a full figure, boot cut pants will give your legs a longer, leaner look. Petites will benefit from this style by wearing heels to help elongate the legs. 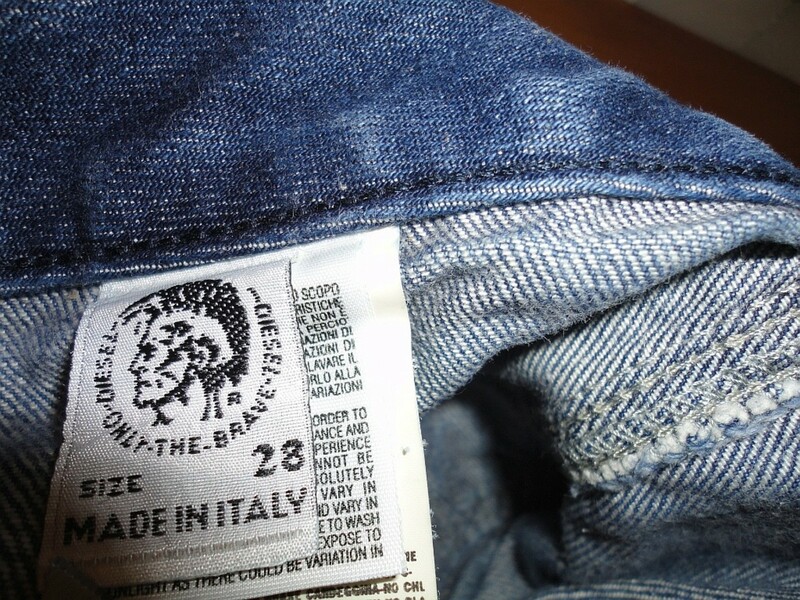 Boot cut pants provide the same benefits as straight-leg pants. They make you look slimmer, complement your curves and are a great match for any body type! I wish I had better news, but this is something I can’t budge on. Sadly, skinny pants are not a look for everyone. They may be very fashionable, but many women have issues with them. If you’re on the fence about skinny pants, here’s the number one thing to consider: they were designed for and look best on women with a svelte figure – one that is not too thin, not too full. The good news is skinny pants look good whether you’re petite or tall, but if you are harboring extra pounds or have a naturally curvaceous figure, you probably want to steer clear of them. What did we do without cropped pants? The Gods were smiling on us when designers introduced them several years back. My hope is they stay around for a very long time! For those of us who like to be comfortable in summer heat, but feel uncomfortable wearing shorts (i.e., exposing our thighs to the general population), cropped pants give us the best of both worlds. You can own the copped pant look, but you must find the right length for your body type to pull it off successfully. If you have large calves, select cropped pants with a hem that falls below the widest part of your calf. Ankle length are the perfect compromise for women with heavy legs. Petite women should be aware that cropped pants can visually cut the length of your legs, making you appear even shorter. To elongate the body, petites and full-figures should choose straight leg cropped pants and avoid cuffs, cargo pockets and other decorative accents. Keep it simple. Tall women should stay away from cropped pants that hit just above the ankle. Go with a mid-calf length to avoid looking like you’ve outgrown your pants. If you have thin legs and ankles, find a cropped pant that fits slightly closer to the leg – that tip is applicable for women of every size. As with most pant styles, tall, slender women have no problem wearing wide leg pants. There are a number of stylists that believe full-figured and petite women should avoid them altogether. I happen to disagree. I believe, with a flattering fit, most women will look fabulous wearing wide leg pants. Wide leg pants are not designed to fit tightly through the hips – the leg should fall straight down from the hip to the hem, with no curvature in the side seam or inseam. Believe it or not, a pair of properly fitting, wide-leg pants can create and long, slender profile. Dark color fabrics will further enhance that effect. If you are petite, consider this rule for wearing wide leg pants: if you’re on the slim side, pick high-waisted styles (sans pleats) to give your legs the appearance of length. Pair your wide leg pants with a chunky heel to also elongate the leg – this tip applies to everyone. Finding the right size and fit is critical for selecting any style of pants – no matter your body type or stature. Baggy pants will increase your girth and tight pants will emphasize things we typically want to hide. When trying to determine the proper waist size, you should be able to place two fingers comfortably inside the waistband to ensure a comfortable fit. When shopping, it is always a good idea to bring along another set of eyes – preferably someone who will give you an honest assessment. If not, you will have to rely on your own judgment and that of the salesperson – and as we all know, salespeople don’t always have our best interests at heart! I spotted a great sizing guide from Talbot’s website. I have taken their size, waist and hip measurements, and consolidated them into one nifty chart. Do keep in mind, however, that sizing varies greatly between manufacturers and price points. For instance, a pair of size 10 Merona pants from Target will run smaller than a Ralph Lauren size 10. To be on the safe side, check online sizing charts for the manufacturers you intend to shop and go with their sizing parameters. And don't fret too much if you can't find that perfect fit in the store. If you are handy with a sewing machine, you can do your own pants alterations. I happen to be between sizes right now, so I try to find the best sale price I can, then take them in to be altered. Alterations (with the exception of hemming) can be pricey, so shop around for the best deal and avoid lined pants -- lining increases the price substantially. 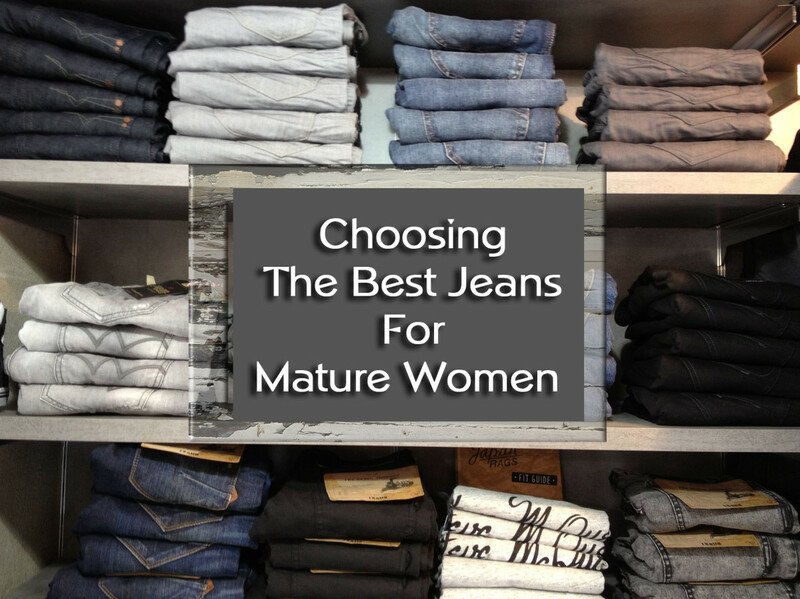 You're now armed with all the information you need to find the best pants for your body type. Go out there and have fun shopping! Where can one find a long, wide leg pant for a reasonable price? Do an online search to find wide leg pants. That way you can compare the style and price you want. Where do I find wide leg pants? I have thin legs so what kind of pants should I wear? Wear straight leg, wide or boot-cut pants to conceal your thin legs. You can also wear pants in light colors or bold patterns. What type of pants do you wear under boots? It's best to wear skinny pants so they will fit easily inside a knee high boots. How to Figure Out What Size Pants You Wear! Thanks so much for your detailed comment! I just saw some bell-bottom jeans online. I want to buy a pair. I haven't had any since 1973! If people just want to have fun and variety with fashion, they tend to buy into fads and perhaps not worry about what suits them. I say "Good for them!" I'm one who doesn't buy into fads and ignored holey jeans and holey tops that showed shoulders and some arm. To me, they screamed "Fad"
It used to be that we dressed for balance. That is what you are still suggesting here (thanks!) but now having an apple shape, for instance, and skinny legs, at any age, seems to have created a new trend: emphasize both the contrast....very skinny pants on the bottom and a huge looking/colourful jacket. Either that or a teeny tiny jacked that shows a boney bum with a saggy pant. Forgive me...I'm very visual and enjoy cartooning people both in drawing and in words (including myself). Recently a friend in her subtle way (not subtle me, however...she's kidding herself on that subtlety bit) suggested it was time for "us" to wear very hugging skinny pants (we're in our 70's). Well, I have very heavy thighs, knees and stomach. Cute picture, eh? I still like straight legs that are quite tight and show off my round bottom. Ha! Also, wide legged if I can wear my high platform shoes without breaking my neck. Oh, and boot cut. I can also get away with cut-offs that stop just below the knee as lower legs and feet are okay. Sorry for essay! Candis, I would suggest a wide leg pant or a gaucho-type crop pant. You could even do a slim leg worn with a stylish tunic. What is your solution for short heavy women that want pants that fit at the waist. donna, cropped pants may not be the most flattering look out there, but they make the majority of women feel comfortable, so I say go for it. Cropped pants, IMHO are much more flattering than spandex, no? Sorry, but cropped pants look horrible on 98% of the women who wear them! They stop at an unbecoming place on the calf emphasizing the top of the foot, and what for many women is not a pretty part of their legs. Women who are the least bit overweight look especially bad. Hello Lindacee. 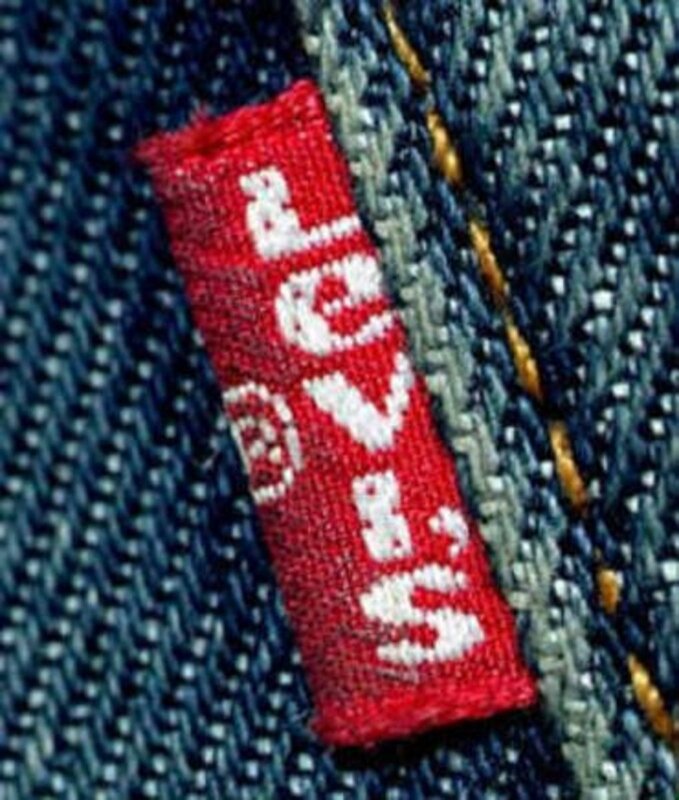 I like your article on tips how to find the best pants. Nicely done linda, my wife goes through pants like a windmill - before going to work she makes the mandatory three-outfit-change before settling on something that looks like what she wore the day before. I'll share your hub with her to give her a better insight. Filled with needed info, and written in a friendly and helping tone. Upvoted/useful/follow. Peace. Kawi. This is awesome, there are so many useful tips here. I rarely wear skinny jeans, and when I do, I make sure they are not skin tight. Plus it matters what top you pair them with. Nice hub! Jenny, you make me blush! Thank you so much for reading my Hubs. I try to give the reader useful information while injecting a bit of my personality in each Hub I write. It's not an easy task, but I so enjoy it -- especially when I have followers like you cheering me on! Yet another brilliant hub from a wise woman I'm getting to love reading! We can all empathise with lindacee, cos we've all been here in our quest for the perfect pants, right?? But some of us are too darned lazy (yep, I'm pointing the finger straight at myself!!) to write a blog on the subject that is both helpful to every other woman on the planet, AND great fun to read. Long may you reign supreme in hubland, lindacee. You are such a fount of good sense, and a joy to read on every topic you tackle! Good on ya!! Nelson, thank you for stopping by! I'm pleased you enjoyed this topic! articlesocean, sometimes we have to make concessions for our work wardrobe. I can't wear cropped pants, but can get away with skinny pants if I wear a longer shirt over them. I totally agree! It's so difficult and frustrating to find the right style in the right size. Especially when one shops sales -- things are usually picked over and you don't have a decent selection to choose from. Thanks so much for reading my Hub! Have a great day! I would prefer skinny pants for regular wear but for my office use i would prefer Wide leg pants. Great Hub ! I usually find shopping irritating because what i choose i can't find my size and when i find my size i don't fancy the design. Teaches 12345, shopping for pants shouldn't be this complicated, but there just too many styles out there -- and within those styles many different cuts. I try to stay away from the trendy and stick with straight leg and boot cut for the best results. Thank you for reading and happy I could be of service! Excellent hub coverage on this topic. 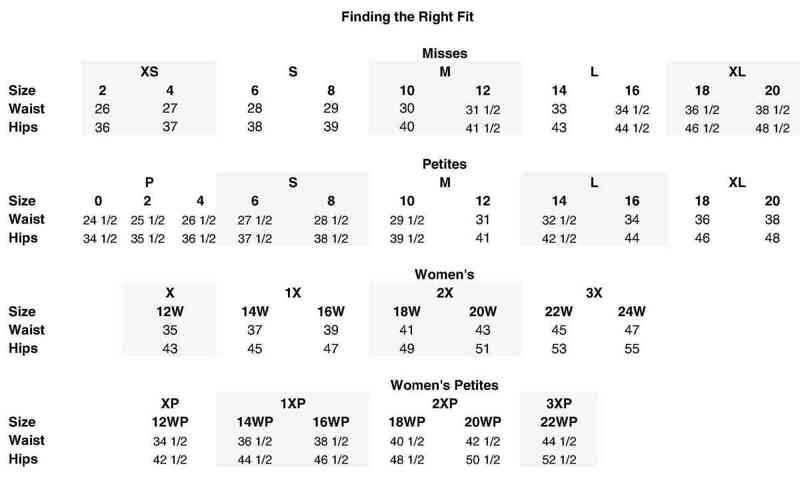 I enjoyed the read through this and the fit chart is really helpful I think the straight legged pant is my best choice after reading the details. Thanks for sharing.